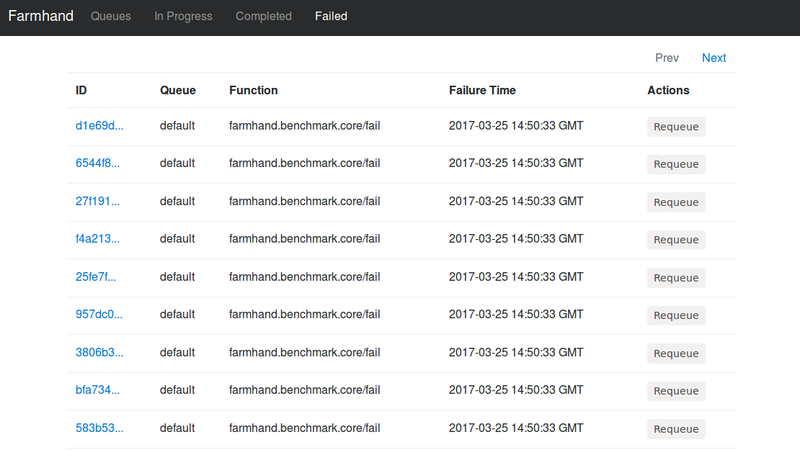 Want to be notified of new releases in b-ryan/farmhand-ui? Get details on individual jobs, like what function was called with what arguments, what its status is, etc. This library is meant to be use within an existing application running Farmhand. This is not necessary, however, and you are free to run it in a separate process. For now, we will assume you are going to run it inside your existing application. ;; server you are using. See more details on run-jetty here.